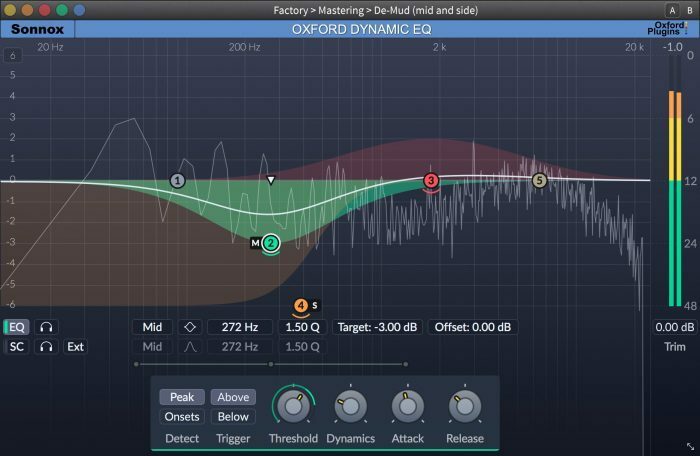 Sonnox has released the Oxford Dynamic EQ, a dynamic equalizer effect plugin with highly-tweakable space-carving capabilities. 5 bands of the Oxford Type-3 EQ curve which offer proportional-Q, often considered the most musical EQ curve-type. All bands can overlap fluidly without the static phase distortion or low frequency artefacts associated with multiband compressors. Each band can process and/or detect from mono, stereo, mid or side channels. Flexible per-band internal/external side chain controls. 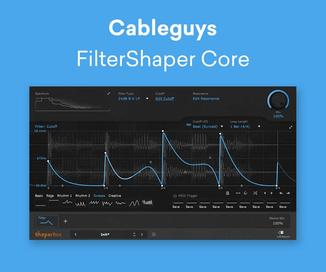 A clear and informative GUI simplifies the often-complex workflows associated with multiband dynamic plug-ins. Flexible upwards/downwards compression and upwards/downwards expansion. Engage the effect either by setting a level threshold or by using the unique onset detection feature for very precise transient processing. The Oxford Dynamic EQ (VST/AU/AAX) is available from Plugin Boutique for £200 GBP ex. VAT.